Last week’s top-gaining stocks on the TSX were Tanzanian Royalty, Troilus Gold, Midas Gold, Monarch Gold and Perseus Mining. The S&P/TSX Composite Index (INDEXTSI:OSPTX) was down last week, decreasing 0.96 percent to close the five-day period at 16,089.33. The index had the worst session of 2019 on Friday (March 22) as concerns of a global economic slowdown and potential recession put pressure on Canada’s main stock market. Looking over to commodities, gold prices held steady while silver was down slightly. Meanwhile, base metals rose on Friday. 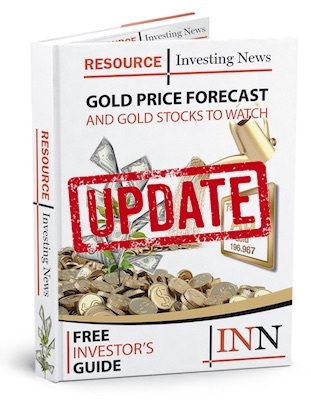 Are gold stocks a good idea for 2019? Here’s a look at those companies and the factors that moved their share prices last week. Tanzanian Royalty is engaged in the acquisition, exploration and extraction of gold and other natural resources in Africa. The company is presently focused on its Buckreef gold project located in North-Central Tanzania. Tanzanian Royalty did not release any news last week, but the company’s shares gained 28.4 percent during the five-day period to reach C$1.04. Toronto-based Troilus Gold is working on the expansion and potential restart of the gold-copper Troilus mine. Located in Quebec, Canada, the asset was operated by Inmet Mining from 1996 to 2010, producing more than 2 million ounces of gold and near 70,000 tonnes of copper. Shares of Troilus Gold saw an increase of 25 percent last week to reach C$1.15. Midas Gold owns the world-class Stibnite gold project located in a historic mining district in Central Idaho. According to a 2014 prefeasibility study, the project demonstrates the potential for a large-scale, long-life, low-cost open-pit mine. Last week, Midas did not release any news, but during the five-day period, shares of the company jumped 12.68 percent to close at C$0.80. Gold-focused Monarch Gold owns high-quality projects in the Abitibi mining camp in Quebec, Canada. The Wasamac deposit, the Beaufor mine, the Croinor gold project, the McKenzie Break and Swanson advanced projects and the Camflo and Beacon mills are all part of Monarch’s portfolio. On March 20, the company released drilling results from the 2018 program at its wholly owned Mckenzie Break gold project, confirming its high-grade potential. As a result, shares of Monarch Gold saw a spike of 12 percent to close the five-day period at C$0.28. Last but not least is Perseus Mining, whose shares saw an increase of 11.9 percent to close the five-day period at C$0.47. Perseus Mining is a diversified West Africa-focused gold-production, development and exploration company. Perseus’ lead project is the Edikan gold mine in Ghana. The company is exploring near-mine prospects, including Bokitsi, Mampong, Pokukrom and the Agyakusu prospecting license, with the goal of delineating further resources to extend the life of Edikan. Data for the 5 Top TSX Stocks articles is retrieved each Friday at 10:30 a.m. PST using TradingView’s stock screener. Only companies with a market capitalization greater than $50 million prior to the week’s gains are included. Companies within basic materials and energy sectors are considered. Don’t forget to follow us at @INN_Resource for real-time news updates! Get the latest information about companies associated with Gold Investing Delivered directly to your inbox.